WordPress has come a long way since its beginnings as an alternative to Blogspot. These days, WordPress powers a massive 32% of websites. In other words: it literally runs a third of the entire internet. With roughly 19,500,000 sites to its credit, chances are, yours is one of them. So, despite the fact that we can guess WordPress will eventually be in charge of the whole ‘net, it actually has a humble purpose. That purpose is to make it possible for pretty much anyone to make a website. Content managing systems like WordPress have taken away the need to know coding to make your presence known. With useful widgets, plugins, and themes, you can have a fantastic site up and running in hours. Tempted? We don’t blame you. Here are our favorites to get you started. Everybody wants traffic and whether you’re an old hand at SEO or new, the Yoast SEO plugin can help you to get the best out of your Google rankings. The way forward on the internet (and in the world) is to provide a fast service. W3 Total Cache will cache your posts and pages to reduce loading time for your users. If you don’t have a contact page on your site, you’re missing out vitally. Everest Forms has a drag and drop interface which means you can make gorgeous contact forms at the drop of a hat. All great sites need images, but remember when images were slow to load? No thanks. WP Smush optimizes all your images automatically, making them smaller in size without compromising on quality. Oh, and in case you were wondering? 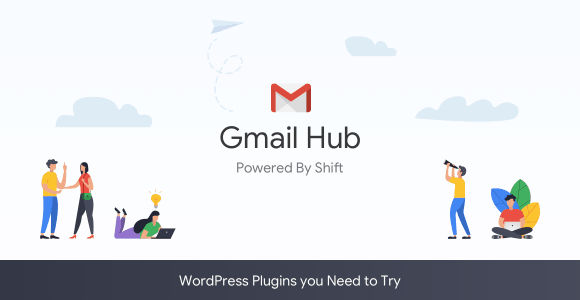 You can use WordPress and all of its plugins directly from Shift.